At least since the beginning of this year the theme 4K UHD or was from the four big names in the TV market – pushed and also in home cinema played the Ultra HD resolution an increasing role – Samsung, Sony, Panasonic and LG. Although there were already before 2015 TV models, which were 3840 x 2160 pixel display capable but lacked until now massively accordingly produced content. Only in the course of this year the situation improved slowly but surely, not least because the streaming provider Netflix and Amazon Video began to vigorously compete for the favor of the customer. Finally, a common industry standard for 4K content crystallized out in the Spring, which is also manifested in the upcoming 4K Blu-ray. This is likely to be finally solved the problem of the lack of content. In the US, Fox and Sony have the first Ultra HD Blu-rays announced for early 2016 and it is expected that the manufacturer of the hardware then also be in the starting blocks. While the Panasonic DMR-UBZ1 already the first Ultra HD Blu-Ray Player is available in Japan, Europe will have to wait probably until spring. The CES 2016 in Las Vegas would supply insightful information. Was hotly debated in the course of the gradual introduction of the completed Ultra HD standards and the HDCP 2.2. We have already pointed to the early complications that may cause the hardware-based copy protection when playing 4K content, if parts of the signal chain are not equipped with the appropriate technology. While TV manufacturers had started relatively early with the implementation, it came mainly in the AV receivers for delays because the necessary chips were simply not available. Here, too, the situation has changed during the year. 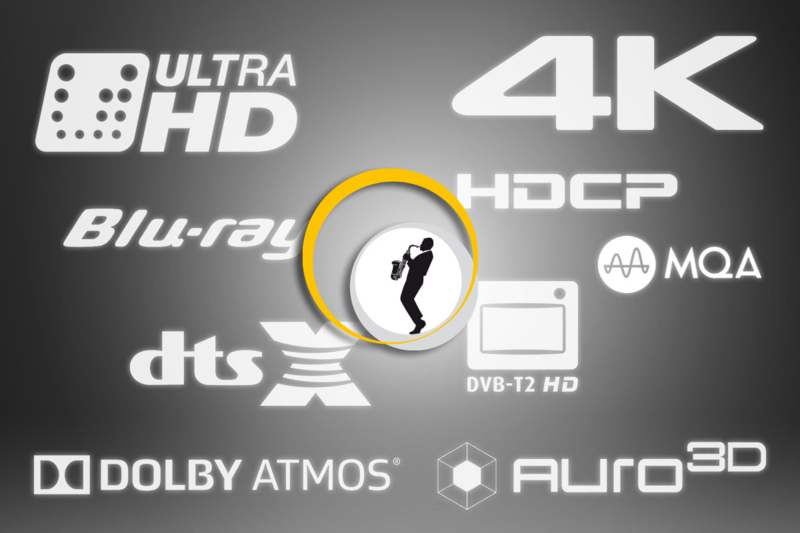 On other models, the HDCP 2.2 support is usually an integral part of the feature list. Let us now turn to the auditory level, on which there are also to report progress. The number of Blu-ray with 3D sound blends has increased significantly this year fortunately; As might be expected, the proportion of Dolby Atmos Publications predominates but compared to those with Auro 3D Language significantly. In addition, one must usually make do with the original English version, one would like to benefit from the “immersive sound” experience – the dubbed version is usually only as a normal surround mix before. The stragglers DTS: X initially got off to a clean false start in the spring after the big announcement, but now have the Denon and Marantz announced the first software updates for selected AV receiver models and the first Blu-rays with DTS: X support, at least in the US already available. We want to close with an interesting announcement of the emerging streaming service Tidal for the year 2016. After the streaming of CD quality is there for some time now an established feature, the developers are planning in the future make available content and high resolution. The existing discrepancy between large amounts of data on the one hand and limited transmission capacity on the other wants to use a new format called Master Quality Authenticated (short MQA) overcome the provider, which was initially developed by the specialists of Meridian Audio, now but of a newly established Company is driven. The additional audio information of the high-resolution originals are encoded in the conventional lossless file in ALAC, FLAC or WAV format, so there should be compatibility problems ultimately neither a significant increase in the amount of data. Are not terminal to decode the complementary MQA data capable, the user listens to the recording as usual CD quality. Furthermore interesting is the fact that Tidal apparently intended by the introduction of the MQA-streaming on the hi-tariff of 19.99 euros currently hold. Whether this plan the forthcoming negotiations with the music industry survives, MQA will actually be broad support granted by the manufacturers and therefore Tidal makes the streaming of high resolution music in 2016 socially acceptable is the first provider, we will be watching eagerly.